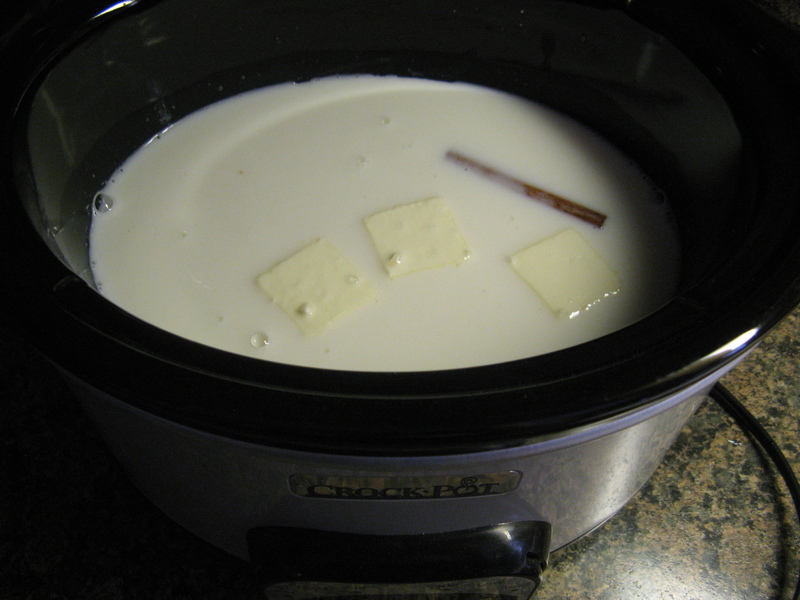 For today’s Slow Cooker Sunday recipe I am bringing you dessert. Rice Pudding… One of my favorite desserts. And this is probably the simplest Slow Cooker item I have ever made hence this super short blog post. And after a short 4 hours my rice pudding was ready. Now, you might be tempted to leave it on longer since the rice will be tender, but, there will still be a considerable amount of milk left, but don’t. 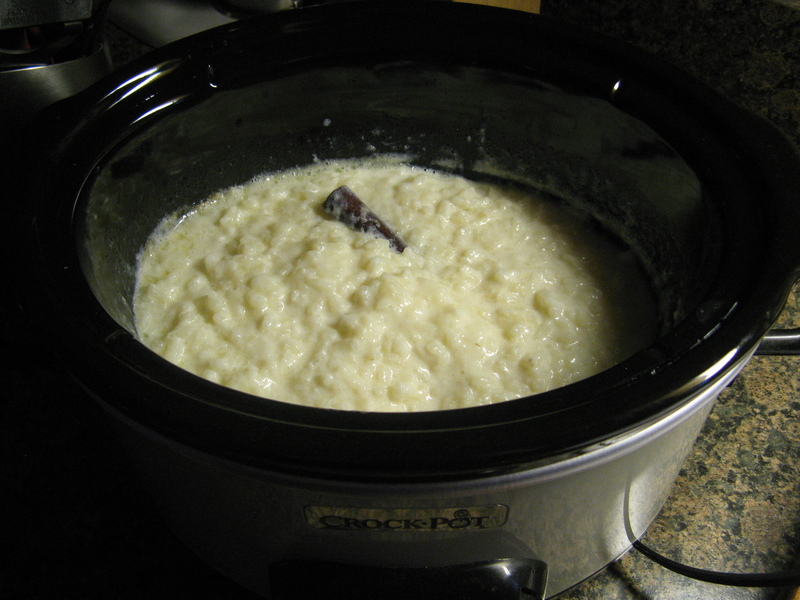 As the rice pudding cool it continues to absorb the liquid and it will be creamier. You can opt to top it with ground cinnamon or nutmeg or toasted walnuts or almonds. I opted to eat mine as is and I must say it’s one of the best rice puddings I have ever had. I feel that using a cinnamon stick as opposed to ground cinnamon allowed for a cinnamon flavor that wasn’t as pungent and more of an essence. If that makes any sense… I hope it does! I hope you try it and that you like it as much as I did. In the bowl of a 4-Quart slow cooker add all of the ingredients. Stir well. Cover and cook on high for 2 1/2 hours or on low for 4 hours. Top with your favorite topping: cinnamon, nutmeg, toasted almonds or walnuts. Thanks for the recipe. I love rice pudding and have not had it for years. Hope you enjoy it if you try it!